Working with a super chap (Nick) who has taken over a business which design and manufacture pottery wheels. A very niche market but they have an excellent range of potters wheels for beginners, amateurs and professionals. The company is Discus Potters Wheels and is based in Petersfield, Hampshire. They have tweaked the design and also the engineering making it an extremely powerful but yet compact potters wheel. From my point of view working with Nick has been a pleasure, regular meetings to discus the development of the site and marketing strategy. We decided on a wordpress site with a woocommerce online store, social media marketing will focus on instagram, facebook and also twitter. An email marketing campaign will also be created, but complying with the latest GDPR rules. A busy time for web design and especially wordpress, I recently helped Roger at www.triplevengineering.co.uk to move his unfinished engineering website to my hosting package, updates were then made to his site to improve some of the sections and also make it visible on the major search engines. An SSL certificate was also added to the site to improve it’s security. Call me now on 07798 711271 if you need any help with your site. Tom my chef son wanted to add another pop up, this time at our local restaurant Annie Jones. We had previously updated his site and it was no issue to create a new product line for people to place orders. Thanks to the power of social media and local press, the tickets sold out within 2 weeks. Recently created this web-site for Broadlands Meadows Farm, an Alpaca farm based in Sheet, Petersfield. The site is a static site and is mobile optimized, complete with location map and contact form. I also took the majority of the photos on the site over a couple of visits. The farm contains a large herd of Alpaca but also Ronaldsay Sheep, Boreray Sheep, Angora Goats, Donkeys and some Chickens. The Alpaca are very cute and I was lucky enough to photograph a new born Alpaca and Angora. The farm is incredible in that it sells a wide range of products produced from the farm, garments, yarns, hay, haylage and even Alpaca Poo, yes Poo! It also caters for lots of organisations and schools who visit the farm to enjoy the animals and experience the country life. 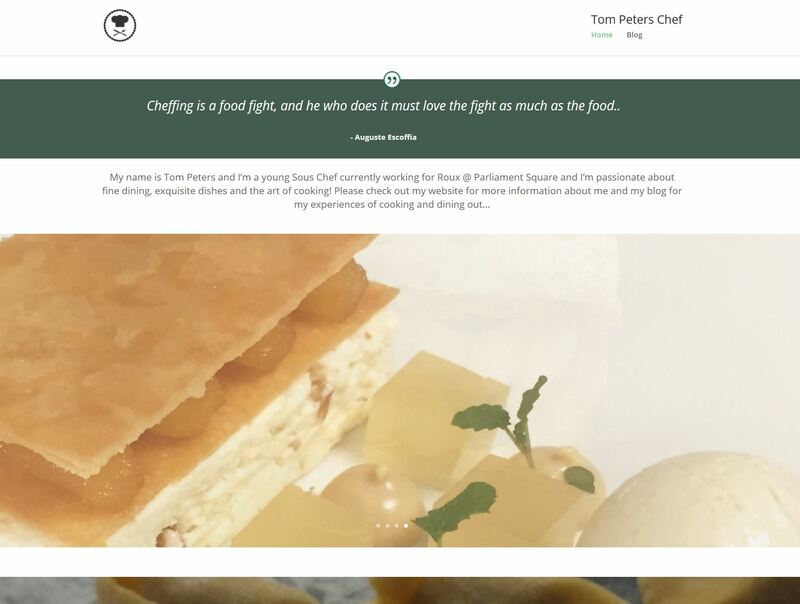 Following Tom’s success on MasterChef The Professionals, him and a few of the other contestants are getting together to launch a series of pop-up dining events based on some of the dishes they produce on the show. We created a lunch and dinner event on the website using a custom shopping cart linked to paypal, the tickets were then promoted on instagram, facebook and twitter. Interest was huge and the evening dinner allocation of 45 tickets sold out in less than 20 minutes. Need any help with shopping carts or social media campaigns then please do not hesitate to contact me on 07798 711271. 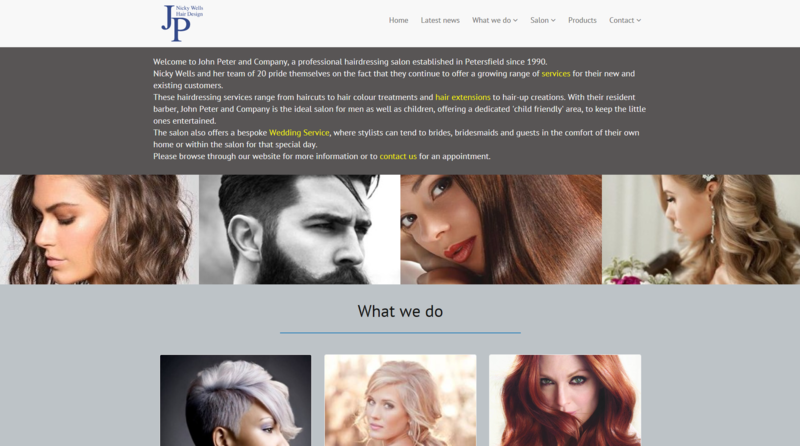 A complete re-design for this professional hair salon based in Petersfield, I chose to use a static web design for this comprising of mainly a one page theme, of course fully responsive with tailored content for mobile. A booking form was also created to enable clients to pick their appointment dates with a quick confirmation from the staff. Very pleased with the look of this site bringing it right up to date for the future, site also ranks very highly on google and bing. 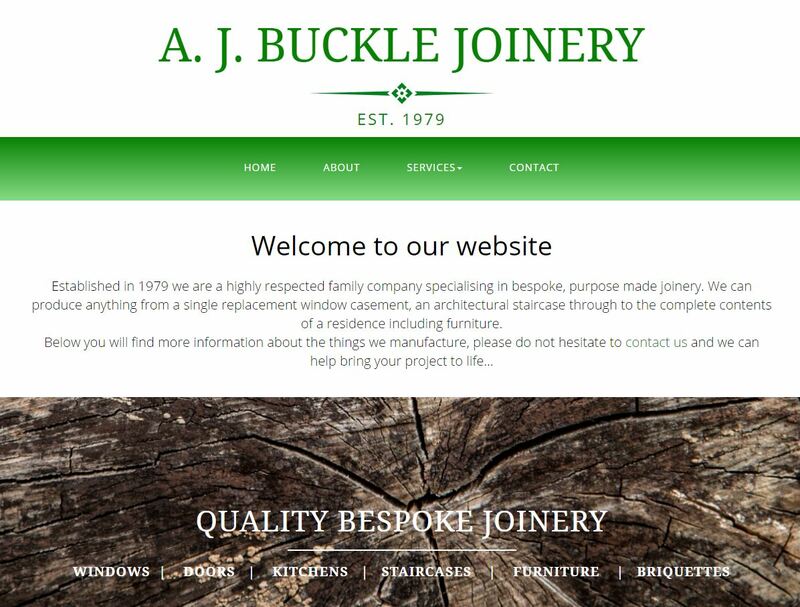 A complete update with this site to bring it up-to-date, fully responsive and mobile friendly this is a static design with a fully bespoke wordpress blog ready to go. 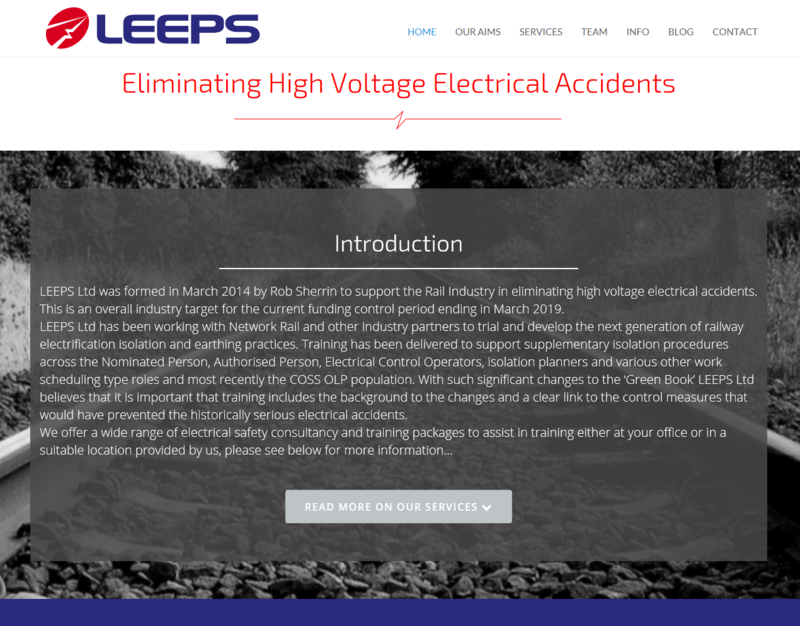 Leeps is rail electrical safety company and offers training and coaching throughout the UK. The company has enjoyed huge success since it’s inception. 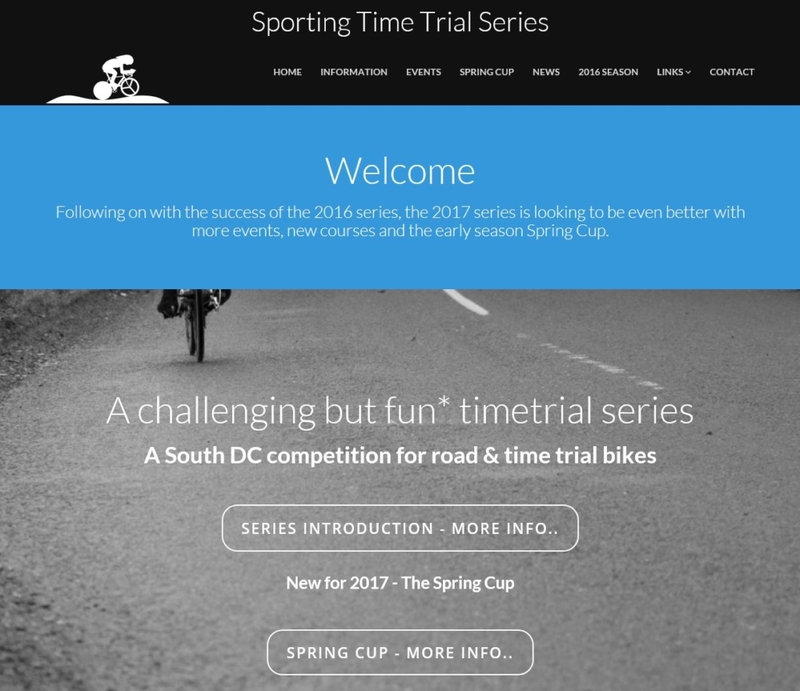 Created this web-site for this hilly time-trial competition for cycle clubs based in the South, it was back to html5 for this using the bootstrap framework to create a fully responsive web-site for mobile, laptop or desktop. I even created the logo! !